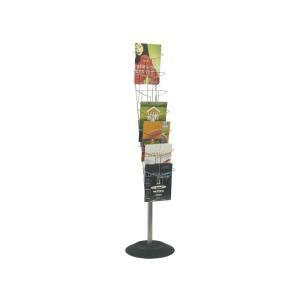 7 tier floor display in chrome steel Ideal for use in reception, trade shows and showroom areas. A4 portrait format. Heavy base for added stability. Dimensions: 1500(h)x380(base)mm. Weight: 8.5kg.